Drawing is a very fragile, sensitive and powerful thing. Learning to draw is like starting to talk or to play an instrument. At first, it is about following a natural inclination, which, with disciplined cultivation, gradually undergoes both small and great progress and soon provides thrilling satisfaction. This path of knowledge becomes more and more fascinating and indispensable from the very moment it begins. 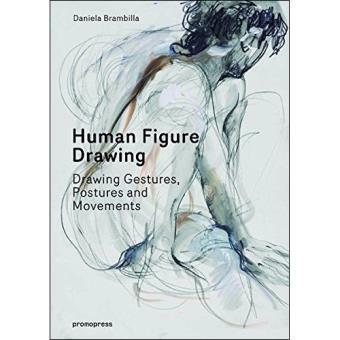 This book shows us how to learn to draw the human figure and regain our ability to observe a subject. Being able to capture the human body is a basic requirement for any artist; Human Figure Drawing will help the reader to conquer the fear of making mistakes, in order to face the challenge of drawing with the confidence and curiosity of a child. "Human Figure Drawing" offers a refreshing perspective on this timeless topic with clear and helpful explanations and around 500 illustrations in black and white and colour.